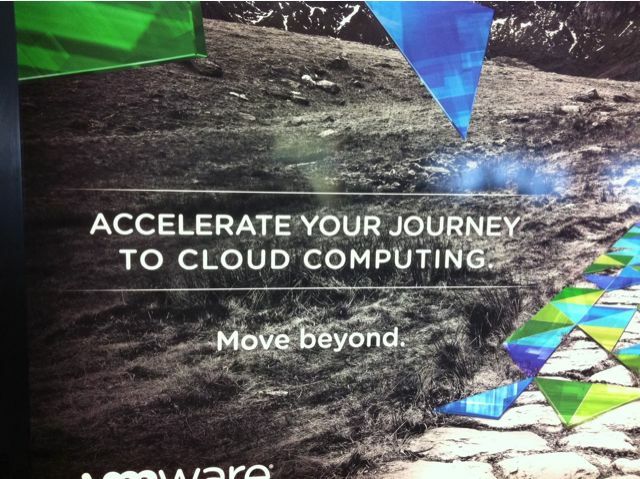 Today as I was walking toward my gate at the San Francisco airport I stumbled into this VMware billboard. Although what really matters is how effective we are as a company at sharing the journey recipes with our customers, it was pretty cool to see how much visibility the virtualization journey is getting within and outside VMware. I truly believe it is because the journey came from our own customers and it tells a great story, the story of how you move from the early success with server consolidation to transforming the way IT is consumed by the business.